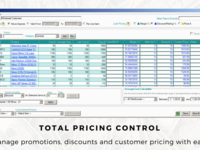 With three tiers starting at $85 per user, AdvancePro fits your budget. Pros: The capacity to link from Sales to Purchasing along with inventory modules seamlessly. Cons: Cannot edit or, cancel drop-ship items within drop ship orders, sales order has to be re-enter all over again, otherwise, the canceled item/s will show in the final invoice. 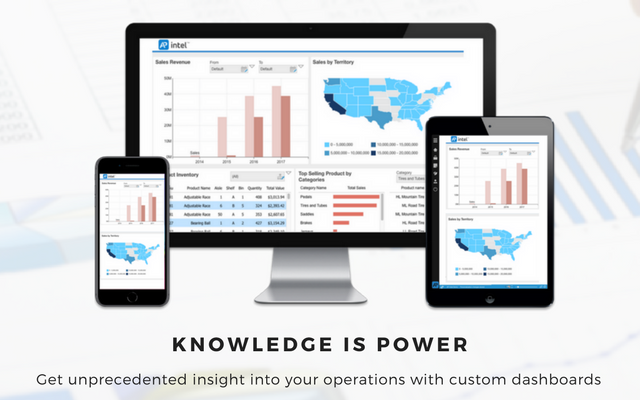 Overall: Control, organization throughout the business process, ease of use. Comments: The company I am working for has been using AdvancePro since 2003, when they went from managed warehouse services, to in-house managed processing, there were some bumps in the beginning, but they managed to master the application and tailor it to be effective with their business model, nowadays running very robust with the integration to other applications. I see us using AdvancePro for many years to come. Pros: Very intuitive, user-friendly, Windows interface. easy to integrate with user-popular, third party applications, superb customer support with ultra-fast response time. Cons: Since my input to this aspect is merely from the technical point of view, I could not say AdvancePro has any cons, at least not at this time. Pros: The paper trail, the MYSQL data base allows me to share the inventory with our engineering department and the administration department. Cons: The lack of a printable user manual for training. Sometime we need the ability to re-create a packing slip but can not. Overall: Inventory and cost control. Using the software gave us the ability to create Kits giving us the opportunity to market our panels as an industry standard for Underwriters Lab. Pros: Their software is designed with such clarity for ease of learning and use with full on online support and tutorials that make learning and using their software very simple. The interface has everything I need for ease of access to attain all operational information needed at the click of a button. AdvancePro software empowers me enabling me to make changes, edit data and upload information without the need of their support team unless I require them their support team is fast and professional in their response to any of my inquiries and provide full detailed answers as to not leave me guessing. 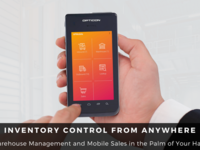 I like the fact that all costs associated with their software is clearly stated upfront and you are charged only for what your company requires in an Inventory Management Software System (ERP). Their training from the get go was personal and detailed I was educated immediately and found everything easy to understand. 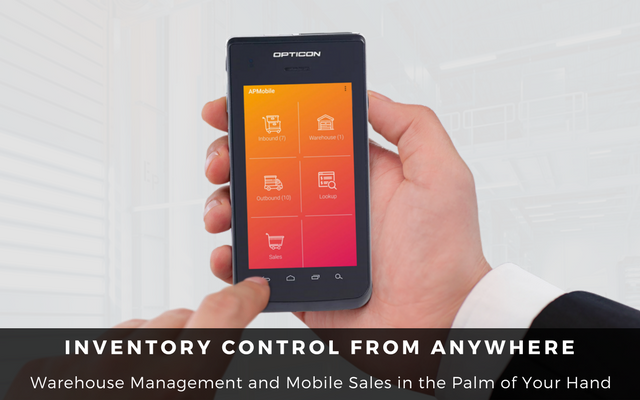 Overall: Able manage inventory accurately with the click of a few buttons. Pros: Software is very easy to use. Love that invoices transfers to Quickbooks. Customer support is always very friendly and helpful. Overall: We where using a very old software program. 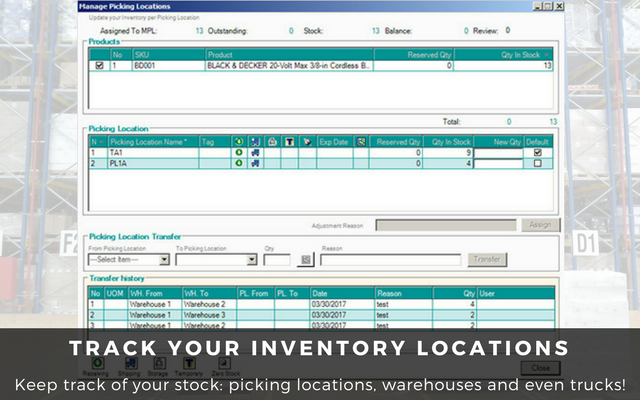 Advance Pro has a lot more functions that is very useful for a warehouse/distribution center. 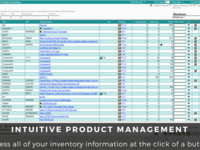 Pros: AdvancePro is user friendly and a great platform for inventory management. Being able to easily look at the history of a product or customer is extremely helpful. The shipping and receiving platforms in the Warehouse category are fantastic for both planning and executing shipping and receiving. Cons: There are a few kinks such is the case with any inventory software that I have used. Making it easier to add new products and displaying them in whichever order is best from a business standpoint i.e. SM, MD, LG, XL rather than alphabetical would be a great feature. Adding tags has only worked to varying degrees of success. Pros: Ease of use and functionality. I can easily manage, ship and track all of my products. Customer service is quick if I ever have a problem. Pros: It's pretty easy to use. I had a quick run through on how to use it my first 2 days at this job, I caught on very quickly. Pros: It's relatively easy to use. Overall the design is great, the layout is nice, and it syncs with QuickBooks easily. Cons: The reports are not great. Trying to manage inventory can be very confusing until you get the hang of it. 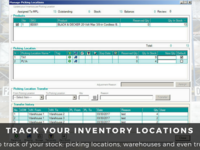 Pros: It is good for tracking inventory which is what it is designed for. The training classes are very helpful and easy to understand. Cons: Some of the naming on fields seems intuitive, but it actually isn't what it seems. For example the field named UPC isn't really for a UPC and in order to enter you can't just type it in the product, you have to upload using Excel. Kits are difficult to edit as well. Overall: Direct feeds from our ecommerce site. B2B portal for our customers. The software works well with Quickbooks. Cons: Takes time to learn the software, customizing the software to our daily uses and setting up takes some time and gettingthe updates for it. Pros: cloud based, consistency of function, employees like it. This software also works well with our production Staff which are based internationally. Overall: great order management for my Team. Professional forms, and great customer support. Comments: Very useful and friendly-user, keep it up! Pros: I like the most with this Product is that it is really cheap but very useful wherein you can immediately look for the stock levels real time. Cons: So far, I don't experience any problem with this Product, instead it really helps the company through real time inventory. My experience has been very good so far! Overall, the software works for the basic mechanics of our company. Pros: The customer service is the best aspect of Advance Pro. If need be, they will respond back to our problems by days end. Cons: Invoicing and trying to change orders once processed is over complicated and troublesome. The customer often changes their sometimes massive orders, and our staff with more life experience has trouble coping with the often overcumbering steps required to make those changes. Overall: It is our main company software which we use for our orders. Pros: Interface and look and feel. Functionality is great as it pulls a lot of functions together. Cons: Stock module spoilt and no longer user friendly. One click now many more to do same job. Lack of traceability of invoices sent from within software not good. Good to import your data to try. Pros: - Everything is a product. 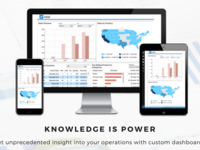 - Improved system management to one database, so data only exists once. 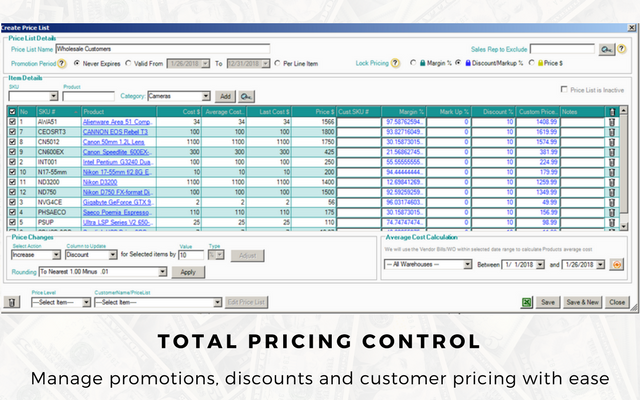 - Easy to manage customer pricing, profitability and COGS by using the markup or setting up a price. 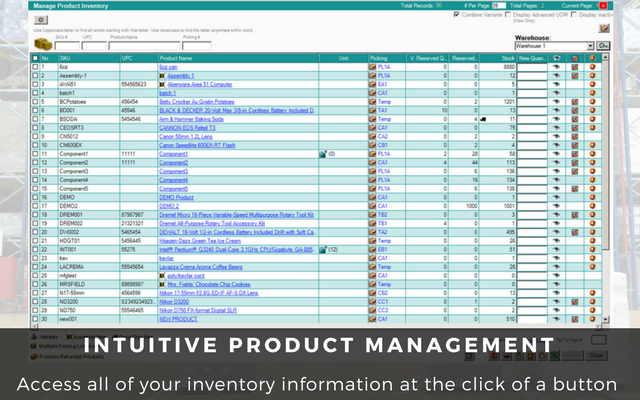 - Automatically calculates the available stock for kits based on the availability of the components in the kit. - QuickBooks reporting with full item details. - Simplified order picking, shipping, and purchasing - Timely access to order and payment history directory on customer page. Cons: Some details need polish. For example, if you are not familiar with this product, you will need to be patient. Recommendations to other buyers: Import all data to try the product and not just see the product. Pros: Advance Pro makes Inventory Allocator more efficient because it automatically calculates the remaining inventory in the crates every sales data is arrived. This system is also a user friendly, not too complicated. Pros: Much better than manually writing invoices. Easy to set up since there aren't many automated features. Cons: Some little things here and there. The pick list jumbles the order, search feature a little primitive. A lot of back and forth to do simple commands. Overall: Not sure I am only a user. Comments: We implemented AP 1 year ago for a distribution and manufacturing company. As of today, some features of the software still do not function. Pros: 1. Cheap 2. Basics works well- such as order placing, sync with rep portal, inventory count. Cons: 1. Customer service only ET from 9 to 5 - good luck after hours 'cause no one replies. 2. Missing tutorials and type of reports list or guide. Recommendations to other buyers: If you just need a simple not so big in feature inventory software and don't mind waiting on customer service- then this is for you. Pros: Seems to be user friendly. I like that it is a windows base program. Enjoy the training modules. Easy to navigate thru.